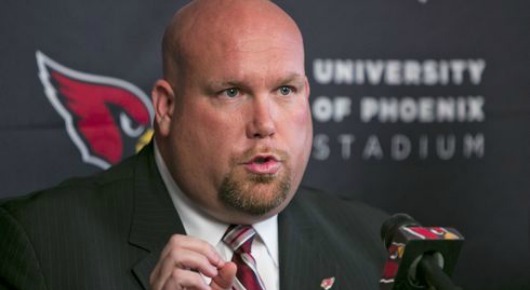 In year one as general manager, you could not ask for a better job out of Steve Keim. Keim helped head coach Bruce Arians in giving the Arizona Cardinals the right players to succeed. How much more can you ask? The Cardinals finished five wins ahead than they did the year before. A record that would usually get a team into the post season, but they fell short to a tough NFC playoff picture. Keim seems to have wisdom knowing that the good teams build through the draft even if there is talented players in the free agent market. Teams like the New England Patriots, Pittsburgh Steelers, and the Indianapolis Colts have shown this time and time again. Moving forward, Keim and the Cardinals must have another strong draft to build from where they left off in 2013. Although they finished with ten wins, it was obviously not good enough to get a chance to play for the ultimate prize, the Super Bowl. Keim will need to continue on his path while forming a relationship with Arians.